Just a Tad of Honeywagen. Honeywagen-Jamboree. Mike Penner, Scott Christensen & Co. are back with their followup to 2012's Atomic Cafe and their Midwestern jangle pop/roots rock is better than ever this time around. After starting with the rocking "Angel", they bring us the groovy "She Wants" (which shares some melodic DNA with "I Feel Fine"), while other highlights include the Plimsouls-like "Lose My Mind" and jangly "Another Hour". This one's available exclusively from Kool Kat at the link below. 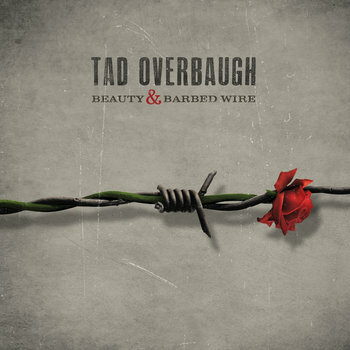 Tad Overbaugh-Beauty & Barbed Wire. If the name Tad Overbaugh seems vaguely familiar to you, it's because he was the frontman of roots rockers The Kickbacks, featured on this site back in the day. Beauty & Barbed Wire is Overbaugh's solo debut, and it's one of 2015's best to date. Although Overbaugh hails from the Boston area, he sounds more like heartland rockers Paul Westerberg and Tom Petty, and leadoff track "Lethal Charm" wouldn't have sounded out of place on Full Moon Fever. "Done With This Town" is a infectious alt-country tune that demands to be a theme to a TV show about someone moving to a new city, "End of the Decade" and "Scars Along the Way" show Overbaugh's way with a melody, while "Tip My Girl" laments the fate of being a stripper's boyfriend in classic country-rock fashion. With his tunes mixing the bitter with the sweet, Beauty & Barbed Wire stands as an aptly-named album. Don't forget the Motor City. 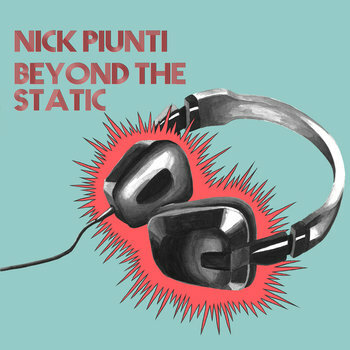 Nick Piunti-Bayond the Static. The premier hotbed for power pop lately has become the Detroit area, with the likes of Chris Richards, Andy Reed, Andy Klingensmith, The Romeo Flynns (and you can go back to bands like The Romantics and The Knack) and the two artists featured today. First up is Nick Piunti (formerly of The Respectables) who returns with the followup to his brilliant 2013 release 13 in My Head, which came in at #2 on my list that year. Beyond the Static is a more-than-worthy successor, as Piunti knocks out the hooks and melodies one after the other in the most classic of power pop styles. "It's a Trap" (Admiral Ackbar finally gets a theme song) and "Heart Stops Beating" draw you in from the start, while "Time Machine" and "Seven Days a Week" (the latter featuring vocals from Richards) are two of the more melodic rockers you'll hear all year. Elsewhere, "Head in the Clouds" incorporates a bouncy Beatle-y melody and "Quicksand" could have been a hit in the 80s. There isn't one "off" track here among the 11, and Piunti might just meet or exceed that #2 ranking this year when it comes to my 2015 list. 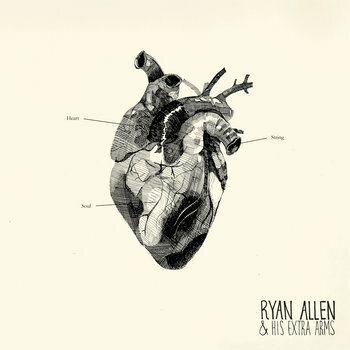 Ryan Allen & His Extra Arms-Heart String Soul. Another member of the Detroit power pop mafia I listed above is Ryan Allen, and he plays on the Piunti album as well. But it's his own second release with the Extra Arms that stands on its own, another collection of top-shelf power pop. "Should Be Me" is a brilliant opener, frenetic and melodic with the refrain "the song on the radio/should be me", and I would not quarrel with that notion one bit. "Born Radical" sounds like Gin Blossoms if they really rocked (and was also the title of an album he released with his previous band The Friendly Foes, although that one had no title track), "Angela '97" traces a relationship over 17 years with rocking aplomb, and "Not Hanging Out" could have fit snugly on Big Star's #1 Record if it weren't for a reference to texting. If albums like Piunti's and Allen's keep coming out I may need a separate "non-Detroit" category to give other releases a fair shake at year's end.